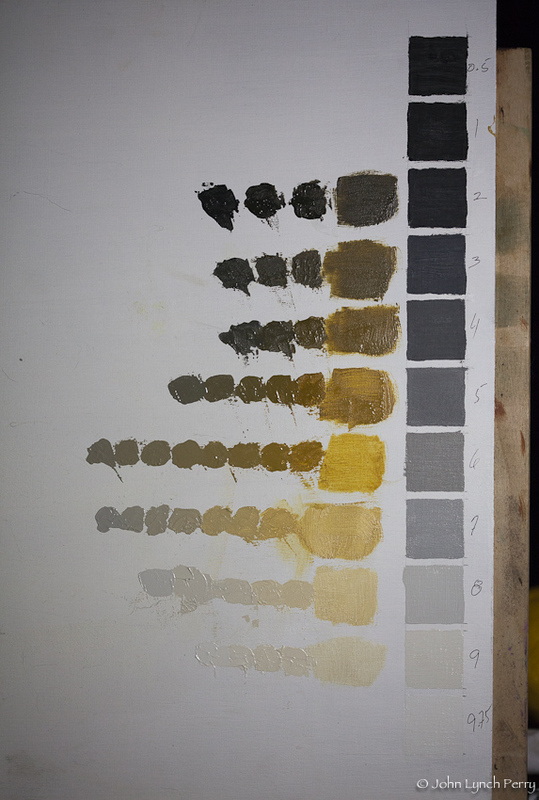 A while ago I mixed black or white with lemon ochre to line up in value with Munsell neutrals. Well, that got me thinking about lemons, so I've been carrying a couple around, studying their contained shadows in different lights and angles. 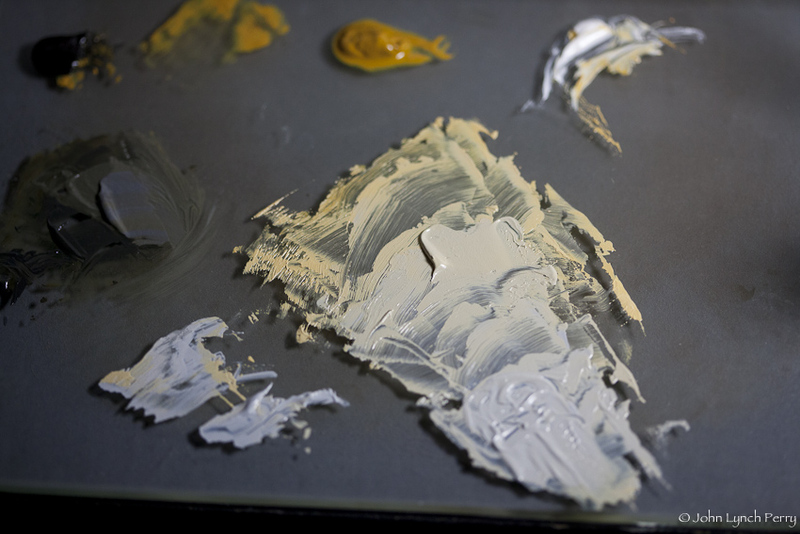 I realized that I couldn't accurately portray the shadows only by lowering value--there was simply too much chroma in those low values. This evening I mixed a fresh batch of each lemon ochre value and then began mixing pretubed Munsell neutrals with corresponding value. See the two piles to the right, how close they are in value. Here's an example of the chroma range in a light value. And here is the final study, each highest chroma possible value progressively sliding towards neutral. I agree; I'm especially attracted to #8 & #9. Those two remind me of Naples Yellow, such a soft and delicate color. 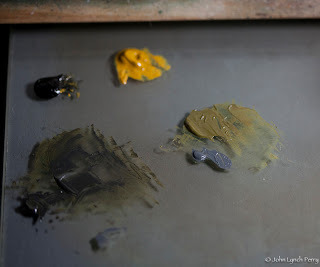 I get so thrilled when I realize how may colors can blossom from black, white and one other pigment. There are more charts in the making.